Jalandhar: Femina Miss India 2002 title winner & bolly-wood actress Neha Dhupia, and heart-throb of crores of Punjabi audience Jimmy Shergill entertained LPU students, today, at the campus. Both of them made enchanting performances for students on the famous numbers of their earlier films as well as forthcoming Punjabi movie ‘Rangeelay’. Stars got into the students-crowd to dance along with them. Students’ vogue for them compelled the visiting star-duo to continue presenting dialogues, actions, dancing- steps for an hour together. During this all, thousands of enthralled LPU students from 28 Indian states and 30 countries continued yelling, yodeling, tossing their heads, swaying to and fro, stamping their feet on varied rhymes and rhythms. On this occasion director Navanait Singh and writer Dheeraj Rattan were also present. Similarly Jimmy Shergill, who has a huge fan following amid LPU audience, interacted: “I am glad to see increasing popularity of Punjabi cinema. I think regional languages have been doing well but Punjabi films have now started getting great opening. Now, I am looking forward to the release of my new production venture, which I hope will bring more popularity towards Punjabi cinema. He also shared tips about production of films and organization of film festival, particularly regional. LPU Pro Chancellor Ms Rashmi Mittal asked students to grasp the hard working culture of the visiting stars who in spite of having much material gains continue struggling for more and more achievements. JIMMYY SHERGILL is very good Punjabi actor and NEHA DUPIA is not like a Punjabi actress.First time she is doing Punjabi picture i hope better hit to other movie. Yes, Let's wish her good luck. Both of them are renowned punjabi comedian and actors. They make people laugh with their comedy. I am sure students would have enjoyed their company. Really wonderful site you shared. Watch Movies and Watch Series Online For Free on 123Movies and Download the latest movies in HD without Registration. You would Love to see online Hindi Movies without registration here. 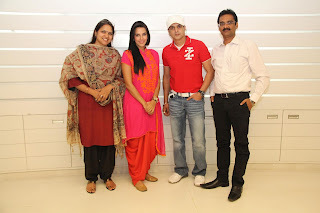 I am great fan of Neha Dhupia and she had also been a bright student of University of Delhi. I personally believe Indian film industry didn't allot her the right roles in cinema. I entertained with her movies free with free movies streaming place 123 movies - all123movies.com and always pay homage her brilliant acting skills but Bollywood is only a successful place for Khans, Kapoors and Bachans. Hmm, Neha Dhupia is just considered as an ordinary actress in Indian film industry but I have an opinion that she had charm to win the crown like leading heroines of India. I watched many movies of her at free movies site m4uhd.com and realized she had some acting flaws. Watch Online Full Movies Free from different languages like Hindi movies, English, Tamil, Telugu, Punjabi.